On the first warm day of February with the last rays of the afternoon streaming in through the trees of the playground, Jill’s House client Brady Boose places his fingers on the laces of a bright yellow football, brings his arm behind his head, and launches a perfect spiral into the air. With the word “Winning” displayed across his grey t-shirt, he bounces across the yard, ready to make a game winning catch. “Goose Boose. That’s my name,” he says with a hearty laugh and a contagious smile that extends all the way to the corners of his eyes, wide with excitement as he begins to answer a series of questions about what it means to be Brady Boose. At 17 years old, he stands at a height just above 6 feet and enjoys doing what you might imagine any teenager would, throwing a football, working on strength training, playing video games with his older brother, and watching TV shows like Drake and Josh and Big Time Rush. Family is important. Though away at college, his brother is still an indelible part of his life. Just hearing a, “Sup, Brady!” on the other end of the phone fills him with joy and shortens the distance between them. He looks on the bright side. You can’t help but love life more just by being in his presence. He asks honest questions and gives honest answers, expecting the same from others. A McDonald’s lunch brings him joy, and a pesky leg cramp brings him pain. He thinks playing football and running fast are the two greatest things in the world and flying like superman would be the coolest. 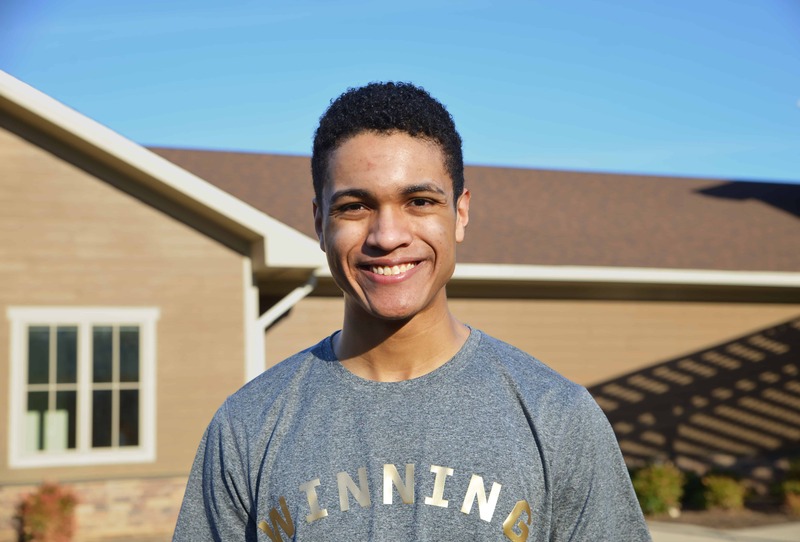 His goal is to become more sociable and strong, and his desire is to be more like Mr. Brad, a Client Care Specialist at Jill’s House. Sometimes it can be difficult to see the good in others, but Brady reminds us it’s not really that hard. Friendship with him has only a few requirements (an openness to tossing around the ol’ pig skin for starters), and his acceptance is refreshing. After answering his last question, he returns to doing what he always looks forward to on beautiful, sunny days at Jill’s House. Racing through the grass, he looks over his shoulder once again for the flying yellow football, and it’s clear to see he isn’t defined by who he is not, but rather, who he is. He is a young man with goals and a purpose; a son with a kind heart and loving spirit; a friend with an energetic and easy going demeanor. He looks at the world with hope and joy rather than skepticism and frustration. Written in silver lettering across his shirt, we see Brady Boose is more than just living. He’s Winning.